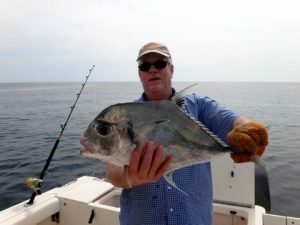 The African pompano also known as the pennant-fish and threadfin trevally is a widely distributed species of tropical marine fish in the jack family. The species is found in tropical waters worldwide, with adults often inhabiting coastlines. 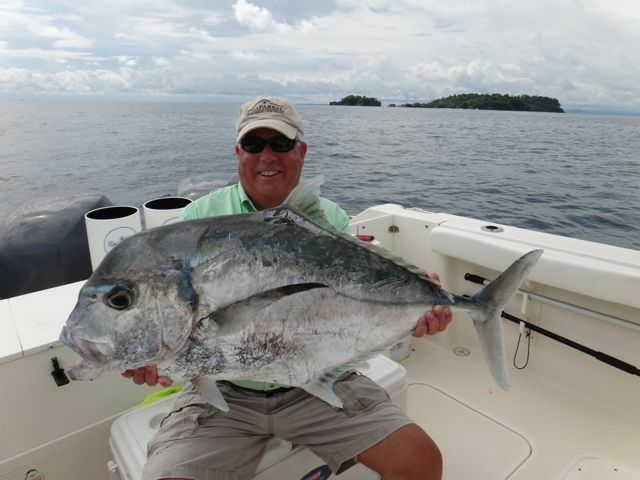 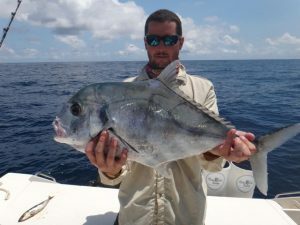 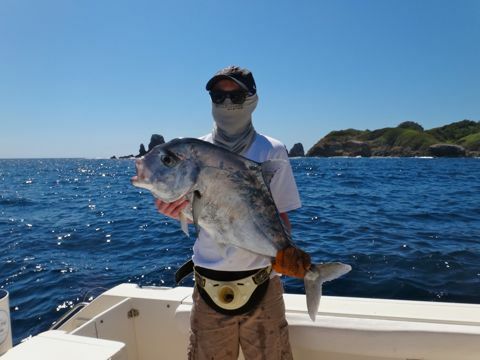 The African Pompano fights much like other big jacks, but uses its flat side to even greater advantage, and exhibits a peculiar, circling tactic that puts the angler to a rough test. 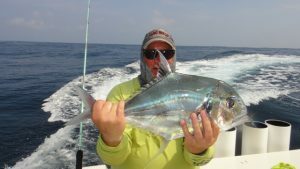 Lures are often jigs or streamers worked on deep reefs and wrecks, although they have been known to take a trolled lure or rigged bait. 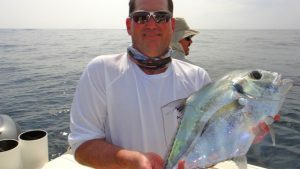 In rare cases, they have even been known to take saltwater flies on sinking lines and poppers at the surface. 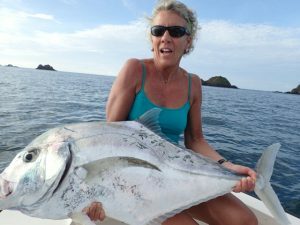 The adults of the species prefer coastal waters to depths of 100 m, inhabiting reefs and wrecks throughout the water column. 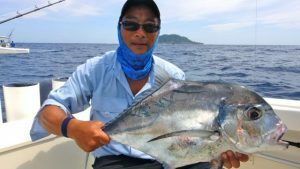 The fighting prowess and good table fare attract anglers to the species in many parts of the world. Want more African Pompano Information?